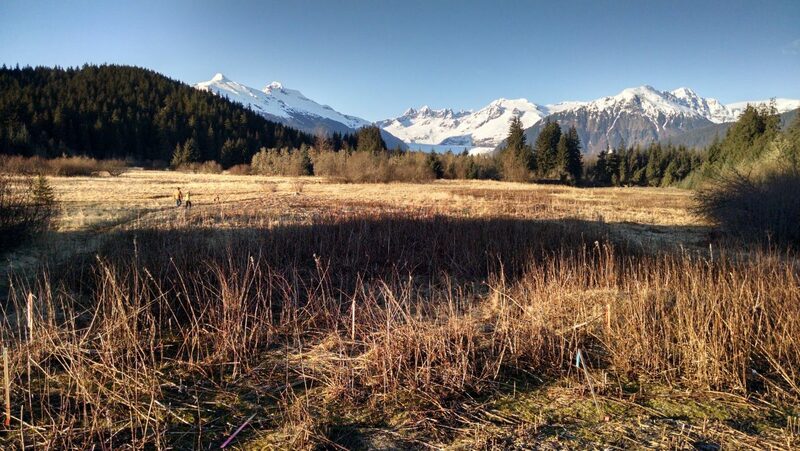 I grew up in the Mendenhall Valley of Juneau, Alaska. With my first experiment with Haiku Deck, I attempted to give a whimsical series of memories tied together as a story that gives an impression of what it was like to grow up with a rain forest and glacier as a backyard. Over the years, I have dabbled with poetry typically with a notepad and times a napkin generally chicken scratching some play of words. Though Haiku Deck challenged me, I found the form changed how I approached the poem and how it interacted with images I could find or couldn’t find. I only used one image from my own collection of pictures. With images generated from stock pictures, the story can go beyond my backyard and resonate with imagery of my community and beyond. It was a nice change of pace to play around with poetry in a new media that is a bit more accessible than my old, notebooks piling dust. With Haiku Deck, I could see how it would make writing poetry more tangible to today’s youth. It is also a great jumping off point for story boarding and movie making. This could be a handy, fun tool in the classroom. Enjoyed this one Tyler. The images definitely helped bring your poetry alive and added to the different senses you were bringing out while I was reading. Mischa, thanks for enjoying my little sensory poem. I appreciate the kind words. Thank you for your time in putting this together. I think you captured your story in haikudeck perfectly. There was one odd spot where I would recommend deleting the word “too” from the end of one of your slides, but other than that I like the words that you used. The story runs smoothly and I like the images that you selected.